Remember when Chucky haunted your childhood? 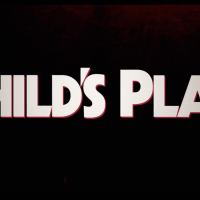 The producers of the mega-successful reboot of “It” are hoping to bank on that fear when CHILD’S PLAY is released in theaters on June 21. According to IMDB, the synopsis is simple enough: A mother gives her son a toy doll for his birthday. Murder and mayhem commence. This time around it’s not known if the doll will be possessed by the soul of a serial killer like the 80’s slasher classic since the tone of the trailer suggests “artificial intelligence gone psycho” but we’ll see this Summer. Check out the trailer below, then go wrap yourself in a blanket in your bed and try to deal with your unresolved childhood trauma from the first movie.